It was December of 1788 when the first group of people since the prehistoric Indians settled in our area. 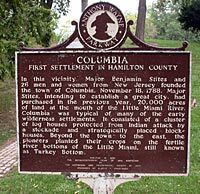 They chose a parcel of land now occupied by Lunken airport and named it “Columbia”, in honor of Christopher Columbus. Just a few weeks after their arrival, they celebrated Christmas with a communal dinner. Imagine their surprise when they were visited by a Shawnee hunting party, who stayed to share the meal! 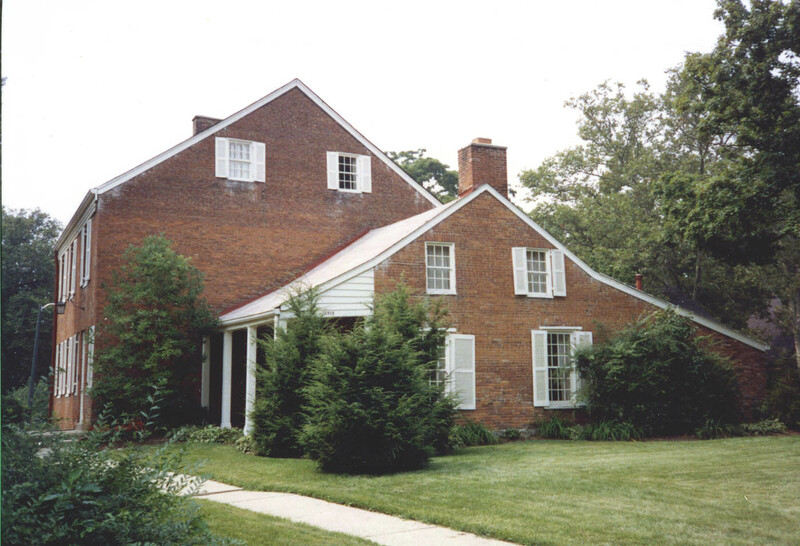 The early history of Mariemont (1786 to 1925) centers around the Stites and Ferris families. It was Major Benjamin Stites, along with his brothers Elijah Stites and Captain Hezekial Sites, who first purchased land here (above). 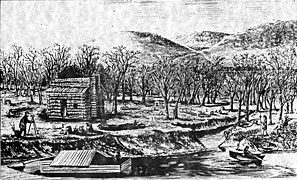 With his brothers and 24 other hardy souls, he founded the settlement called Columbia (illustration). Eleven years later, in 1799, they sold off the part of the land that now constitutes Mariemont to the Ferris brothers: Eliphalet, Joseph and Andrew. The Ferris settlement proved to be more successful, as the land on which Columbia sat was prone to flooding each spring, and the settlement was eventually forced to move to higher ground. We have very little left from these early settlers. Their cemetery is located next to the Mariemont Community Church. If you have an opportunity to visit the pioneer cemetery, you will see the names Ferris and Stites quite often through the generations. Being the only families around here for a number of years, there was quite a bit of intermarrying. Besides the cemetery, other evidence of these early residents exists in two brick houses. 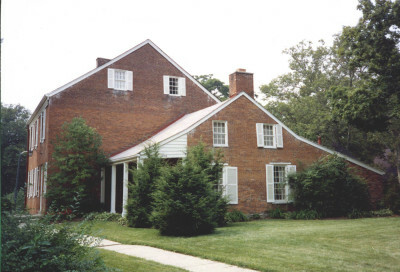 One, built by Eliphalet Ferris in about 1802, stands next to Mariemont Preservation Foundation, across from the tennis courts on Plainville Road (below). It is one of the oldest brick buildings still standing in Hamilton County. Not to be outdone, brother Joseph built an imposing edifice in what is now Fairfax. It’s located at Wooster Pike and Dragon Way, and currently the home of The Eisele Gallery of Fine Arts. The legacy of these early pioneering families existed at least until the 1920’s. When Mary Emery was buying the land for her “model town”, two of the parcels were owned by Ferris and Stites.